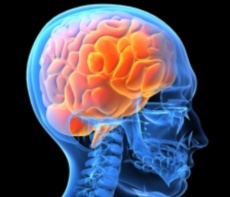 Neuropsychology is the specialist branch of medical practice concerned with the behavioural expressions of brain dysfunction following disease, trauma, illness, ageing or similar events. As an applied discipline, its chief contribution to clinical assessment is the practical evaluation of a person's basic neuropsychological mechanisms (e.g. learning, attention, and reasoning) which are known to react differentially to organic lesions of different origins in different regions of the brain. What kind of problems does Neuropsychology deal with? A typical Neuropsychologist will see a wide range of patients with head injuries sustained through insidious (e.g. Alzheimer's disease, tumours, industrial poisoning) or sudden (e.g. motor vehicle trauma, assault, strokes, aneurysm, others) onset. While a full neurological examination is often enough to comment on people with obvious disabilities, many patients will only show behavioural abnormalities under a fine-grain scrutiny of their skills. While Midlands Psychological Services can and frequently will assess intellectual functioning or memory impairment, we do not have an in-house neuro-psychologist. We recommend Dr Gabriel des Rosiers who worked with us for over ten years. Dr Gabriel des Rosiers can be contacted at www.neuroPsy.co.uk for more information.